The guided-missile destroyer USS Stethem is conducting operations in the South China Sea, the US Navy has announced amid tensions between Washington and Beijing over China’s controversial claims to the disputed waterway. 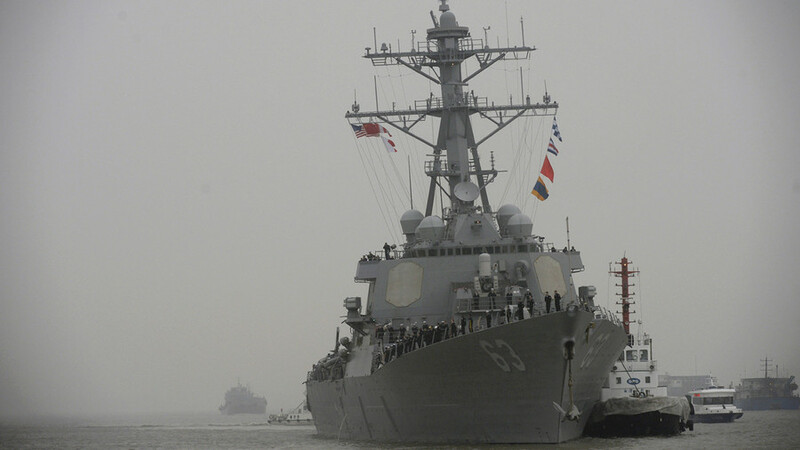 The Arleigh Burke-class, guided-missile destroyer USS Stethem (DDG 63) is “conducting routine operations” in the South China Sea, according to a Friday press release from the US Navy. The statement went on to note that the guided-missile destroyer had been refueled at sea by Her Majesty’s New Zealand Ship (HMNZS) Endeavour (A 11). The refueling allowed the vessel to remain mission ready, according to Command Senior Chief William Palmer IV. “Conducting these types of operations with our allies builds proficiency and sustains our ability to maintain a persistent presence throughout the 7th Fleet area of operations,” Palmer said. Fire Controlman Senior Chief Robert Kline, a tactical actions officer, said working with foreign navies increases the responsiveness and effectiveness of his crew. The Stethem, based in Yokosuka, Japan, has been operating in the Western Pacific since departing its home port earlier this year. In addition to its operations in the South China Sea, it has operated in the waters off the Korean Peninsula alongside the Carl Vinson Strike Group and the Republic of Korea (ROK) Navy during the 2017 Foal Eagle exercises. It has also conducted routine port visits to South Korea. 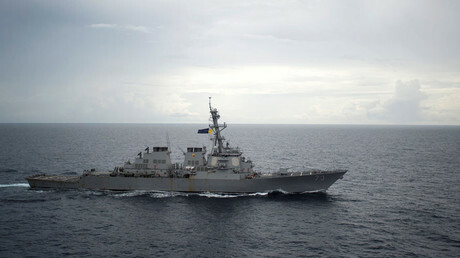 The Stethem’s arrival in the South China Sea comes amid ongoing tensions between Washington and China over Beijing’s claims to the disputed waterway. In February, China warned that it is building a “first-class navy” that will intercept “intruding aircraft” and follow any military vessels operating within its controlled areas. That announcement came just three weeks after Beijing warned Washington against taking any action challenging China’s “sovereignty and security,” after a US carrier group began patrolling the South China Sea. 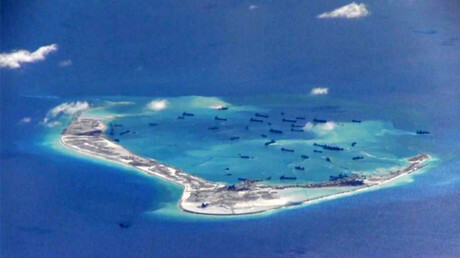 The US has long criticized China’s construction of man-made islands in the sea and its build-up of military facilities on them. US Secretary of State Rex Tillerson stated in January that Beijing’s access to those islands should be restricted. In response, China’s state-sanctioned Global Times newspaper wrote that it would take a “large-scale war” to deny Beijing access to those islands. China lays claim to almost all of the resource-rich South China Sea, despite competing claims from Vietnam, the Philippines, Taiwan, Malaysia, and Brunei.